Of COURSE. The day we take off without our bird camera for a walk, that's when we see this cool new species of owl. We hope to replace this poor cell phone photo with a better. There is a remote chance that this is a Spotted Owl. 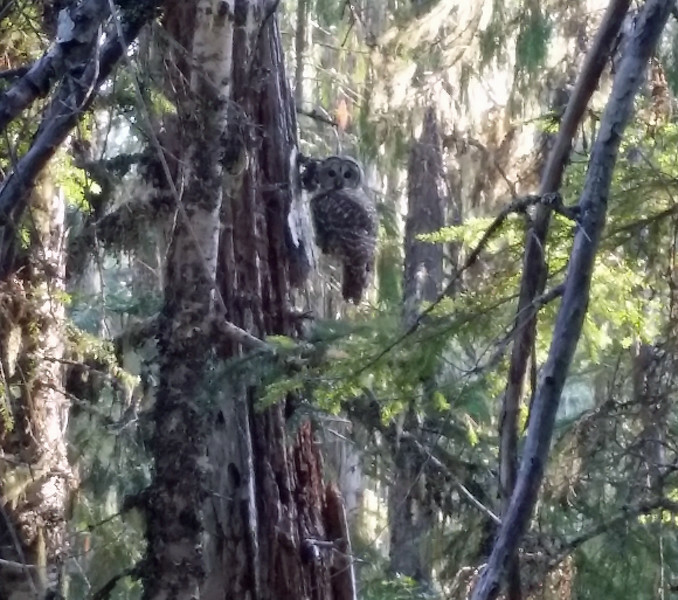 Based on commonality, we think the bird is the much more frequently found Barred Owl.